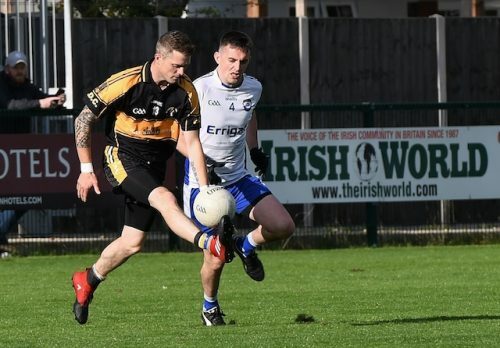 Twelve months after suffering relegation, Neasden Gaels are on their way back to the senior football championship. 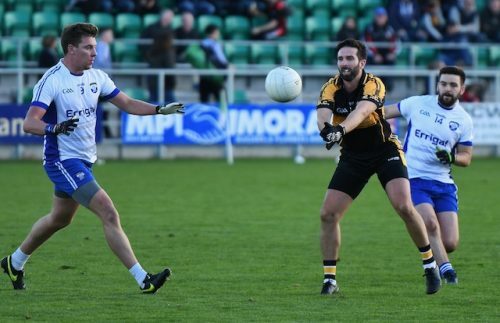 Two Ciaran O’Hare penalties, one in either half, proved the difference as Neasden overcame a six-point deficit at the end the opening quarter. Both penalties were earned by Connaire Harrison, taking a brief hiatus from his stag-do in Ibiza, with Neasden’s Down-dominated forward line accounting for all but one of their side’s final tally. If they can keep this team together, they can set their sights higher than just senior survival next year. 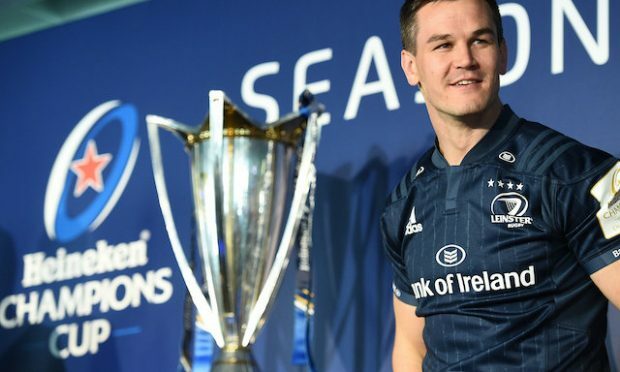 Their opponents St Josephs have won admirers aplenty this year with their free-flowing, easy on the eye, style of football, and they never veered from those principles on the biggest stage of the season. They eased deliciously into a 0-7 to 0-1 lead after 16 minutes, after Conor Doran had actually given Neasden the lead. Six of those Joes points came from Shane Ruane, who was having an inspired day from frees, with Neasden’s discipline being tested. The Joes’ forwards were finding space at will, and their support runners, and had settled the quicker. But Neasden fought back in the final ten minutes of the half to turn this final on its head. Ciaran O’Hare’s free started the ball rolling with Harrison (2) and Conor Doran (two frees) keeping it going. Joes were struggling to break out of their half. When they suddenly did, a great three-on-two opportunity was squandered when Niall McAlynn was penalised for overcarrying. Two minutes before the break, Harrison headed for goal only to be brought down amidst a swarm of white and blue Joes jerseys. 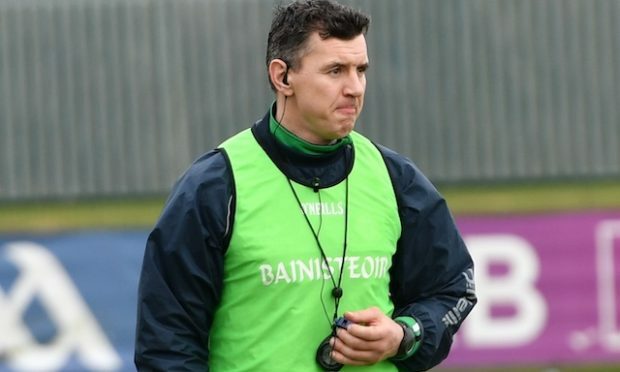 Referee Gavin Dixon had no hesitation in awarding a penalty and after a delay for Harrison to receive treatment, Ciaran O’Hare planted the ball past Conor Hallissey. The Joes ‘keeper went the right way and got close to it, but the height beat him. Conor Doran fired over to make it nine (1-6) unanswered points for Neasden. In the dying moments of the half, Gearoid Holland strode forward to despatch an excellent score and end 18 scoreless minutes for the Joes. At the break, Neasden led by 1-7 to 0-8, having trailed by six at one stage. 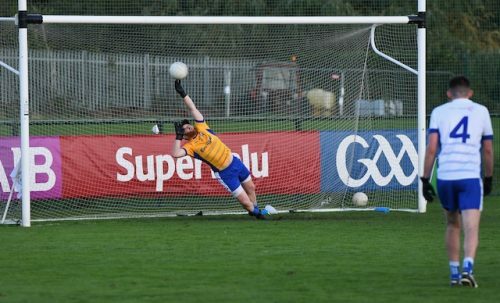 Ruane gave Joes the perfect start to the second half with yet another free, but Conor Doran and Ciaran O’Hare (free) replied, before the latter got his second chance from the penalty spot. 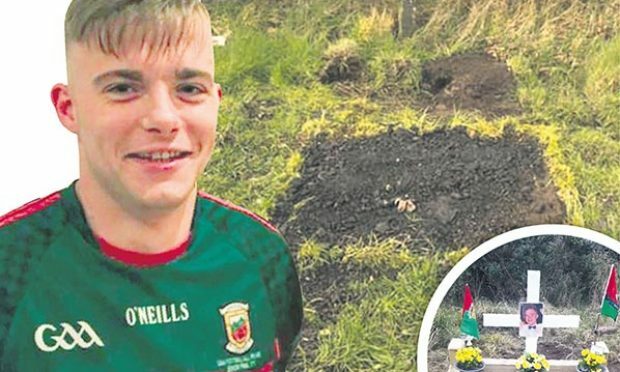 Harrison gobbled up a ball fired into him, only to end up on the ground as he attempted to escape the close attentions of the falling Declan O’Laughlin. The Joes full back was adjudged to have impeded the Down star with Harrison’s sights set on Hallissey’s goal. Hallissey again went the right way, but Ciaran O’Hare’s spot kick flew past him into the net like a rocket. Nine minutes into the second half it was those two Ciaran O’Hare penalties which separated the sides with Neasden leading by 2-9 to 0-9. Joes were never able to close the gap, although to their credit their never wavered from their style of play. Pierce McGirr, James Gartland and Niall McAlynn combined to set up O’Laughlin for one lovely score. But Joes needed a goal if they were to set up a grandstand finish, and they couldn’t carve out the opportunities as Neasden tighten things up at the back. At the other end, Ryan O’Hare popped up with a couple of sweet strikes to keep the Neasden tally ticking over. 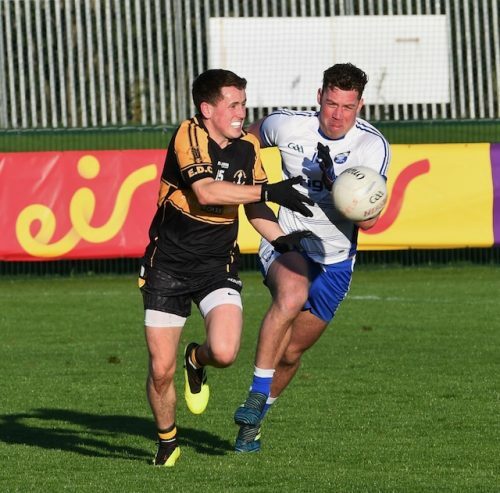 Within four points was a close as Joes got, with Harrison and Conor Doran closing the game out to leave Joes still waiting to re-join the senior ranks 25 years on from their last foray into senior. For Neasden, a crack at the All-Britain now awaits. 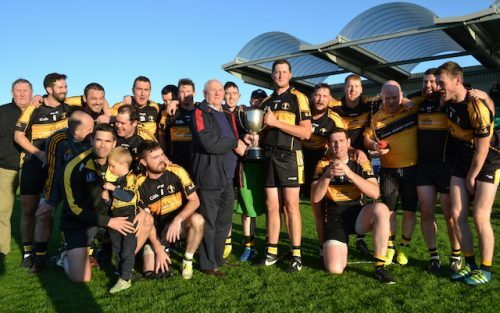 Sean Fitzpatrick of VGC Group presented the cup to Neasden Gaels captain Francis McMullin. Neasden Gaels: Frank Kane; Ian Flood, Aidan Flanagan, Brendan Rowland; Colin Flanagan, Conor McGoldrick, Niall Byrne; Frank McMullin (0-1), Paul Barrett; Ciaran O’Hare (2-2, 2f, 2’Pen), Paul Geraghty, Ryan O’Hare (0-2); Stephen Doran, Connaire Harrison (0-3), Conor Doran (0-5, 2f). Subs: David Crawford for Flanagan (B/C), Ross Cunningham for Barrett, Mark McGauley for Byrne (B/C), Tom Connolly for Geraghty (B/C). 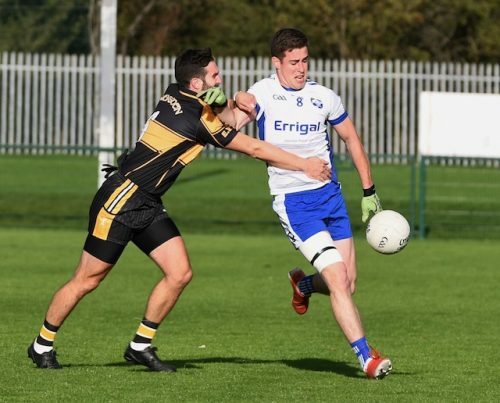 St Josephs: Conor Hallissey; Damian Hanahoe, Declan O’Laughlin (0-1), Liam Clifford; Pierce McGirr, Gearoid Holland (0-1), Mark Porter; Brian Walsh, James Gartland (0-1); Niall McAlynn, Shane Ruane (0-8, 7f), Owen Carey; Patrick Fleming (0-2), Eamonn McGovern, Alan Griffith. Subs: Brian Harris for Carey, Declan O’Mahoney for Griffith, Michael O’Neill for Porter (B/C), Cormack McCooley for Ruane.